Ceramic cookware has certain advantages. It is strong, doesn't corrode, needs no seasoning, contains no harmful metals and is easy to clean. Ceramic cookware distributes heat evenly, so food cooks at same temperature. The glazed finish makes the cookware virtually non-stick. This is helpful when frying food. 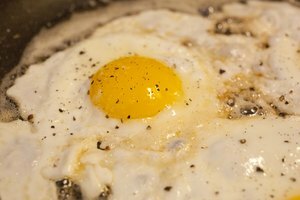 Fried eggs are an easy meal to make in any type of cookware, but with ceramic cookware, frying eggs is nearly effortless. Choose the right size ceramic pan or skillet. 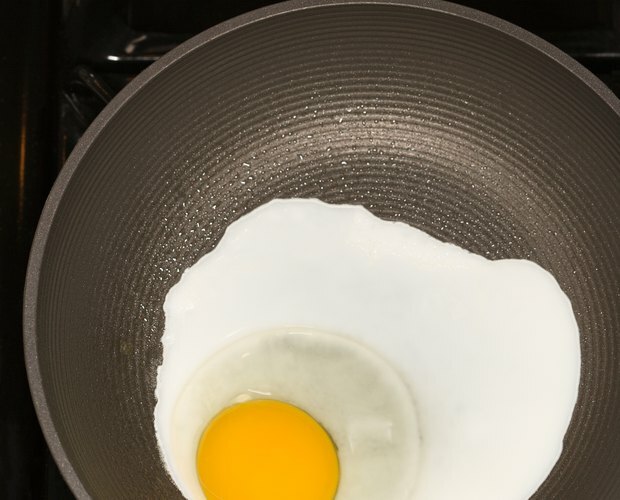 An 8-inch ceramic pan is good for frying one egg; a 14-inch pan is best for frying several eggs at once. Turn the burner to medium heat and let the pan warm up. Ceramic pans are considered non-stick. Add butter or oil only for taste. If desired, add one teaspoon oil or butter for a small pan; two or three teaspoons oil or butter for larger pans. Wait for the butter to melt or the oil to heat. Once heated, lift and tip the pan to distribute the oil or butter evenly. Crack open an egg by tapping the center of the shell gently against the ceramic pan. 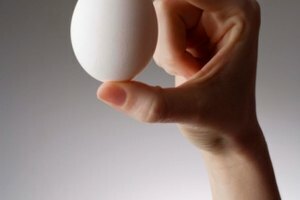 Open the egg shell and slowly pour the contents into the pan, egg white first. Cook eggs for about three to five minutes. 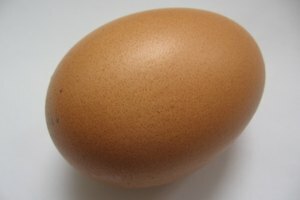 Eggs are done when the whites have changed from clear to white and are starting to curl up at the ends. Yolks should be as firm in texture as desired. Using a spatula, flip eggs over for a few moments if you prefer your eggs "over easy." 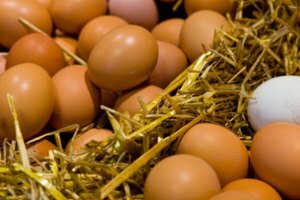 What Do the Grades Mean on Eggs?